← Oh rhubarb where art thou??? 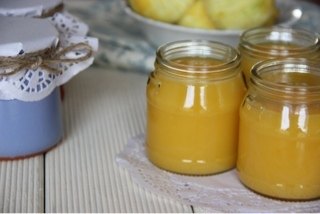 I love lemon curd, not the stuff you buy in a jar in a supermarket but the tangy rich creamy consistency one that you make yourself. Its fab in a lemon meringue pie, spread on toast or even a dollop of it on ice cream always goes down well! We are having a BBQ on Sunday and I want to make a special cake and this is one of the vital ingredients so hopefully our two day heatwave will last three days!! Unwaxed lemons were on special offer today in Tesco, two nets for three euro so I now have a good stock of them. Place all ingredients except butter in a saucepan and whisk over a low heat until mixture starts to thicken. Add in butter and stir in thoroughly with a wooden spoon. When it is like custard take it off the heat and allow to cool for few minutes before whisking once again and sieving to remove zest. Pour into sterilised jars and enjoy! Truly is my taste of summer!! Whats yours?? I love making lemon curd too. There’s something so satisfying about it – a nice bit of kitchen alchemy! Ooh I love it! 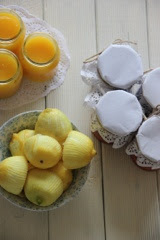 Am going to make a lemon meringue cake tomorrow with some and the rest I need to give away before I scoff it all!! I love lemon curd. 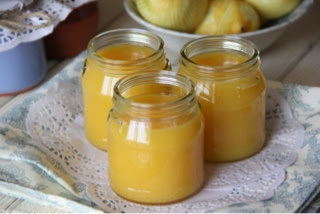 I have to try the recipe for orange curd, but probably I will for winter, when it’s better season for oranges.